As NHS ambulance trusts reach the end of another financial year of ever-growing demand and stagnating sources of funding, a realistic analysis of key issues and the vital importance of strong, positive leadership took centre stage at this year’s Ambulance Leadership Forum (ALF 2018). The event was organised by the Association of Ambulance Chief Executives (AACE) and took place at the Chesford Grange hotel, Warwickshire. The ALF gathering has become recognised as the most important date in the UK ambulance calendar as it’s the time when the UK’s ambulance leaders come together with their commissioners and other NHS healthcare leaders to review current performance and strategise for the year ahead and beyond. With a list of leading UK and international speakers (available to download here) and a diverse list of attendees from all parts of the NHS, ALF 2018 was praised by delegates as the most dynamic and productive conference yet hosted by AACE. The first day of ALF 2018 was jointly introduced by Conference Chair, the BBC’s Emily Buchanan and Anthony Marsh QAM, Chair of AACE & CEO WMAS, before launching into an agenda of world-class speakers. Professor Andrew M MacLeod, Visiting Professor at Kings College London, opened ALF by drawing on his wealth of experience heading multinational humanitarian campaigns to offer tips on leadership and explain his thoughts on the importance of shared values, and why you should beat your boss at billiards! Another highlight came when Peter Bradley CBE, CEO, St John New Zealand, and former CEO of LAS, the founder of both AACE and ALF and a well-known friend and colleague to many in the UK ambulance services, outlined the lessons learnt in bringing his own experience to ambulance services abroad. But in terms of transmitting leadership experience on key issues affecting ambulance services globally perhaps one of the most inspiring speakers at this year’s ALF was Tony Walker ASM, CEO Ambulance Victoria, Australia, who presented on how his service has powered forward to address and treat the vital issue of staff mental health in a talk entitled: “Mental Health Matters: If we don’t care for ourselves we can’t care for others,” sharing the long journey his own service embarked upon towards providing better mental health support to its staff. Mr Walker offered a pragmatic blueprint on just how over-burdened 21st century ambulance services can actively and meaningfully take care of their most valuable asset – their staff’s mental health. Luke Edwards, Director for Sector Development, NHS Improvement, delivered a key productivity report, focussing on the importance of standardisation and improving different areas of the job cycle time. Craig Harman General Manager, London Ambulance Service and Mike Boyne, Operations Support at AACE, provided a key analysis on the implementation of the Ambulance Response Programme (ARP), what has been achieved to date and what needs further work. Niall Dickson CBE, CEO, NHS Confederation, spoke on the important challenges ahead in meeting rising levels of demand in the NHS. The first day’s programme ended with motivational speaker, influential “zoo keeper” and author, Nigel Risner, who provided a laughter-filled presentation on his IMPACT code for leadership and Communicating and Leading in the Human Zoo – are you a monkey or an elephant? In the evening there was much jubilation at the annual Awards Gala Dinner, with Chris Hopson, CEO of NHS Providers, presenting the awards to the brightest and best staff from Ambulance Trusts across the UK. Click here for a full list of all highly-deserving recipients. On the morning of day two, delegates were invited to choose between three streams of seminars featuring sessions by NHS Improvement, UNISON, NHS England, Sheffield University, University of Bristol, Sleep and Fatigue Research and NHS Resolution, as well as conference sponsors Lightfoot, ORH and Priority Dispatch. Keynote speaker Simon Stevens CEO, NHS England, gave a comprehensive speech and Q&A session on the tough challenges that lay ahead for the NHS trusts and what leaders can do to face them head on. It was good to hear his commitment to reduce incidents of abuse against ambulance staff and, athough not covered in his keynote address, the day was brightened further with the long-awaited announcement that NHS staff will receive their first significant pay rise after eight years of pay restraint. Randy Mellow, President of the Paramedic Chiefs of Canada, spoke on shared experiences in leadership development before day two was brought to a close with a speech by Martin Flaherty OBE, AACE Managing Director, before a series of pre-arranged meetings for trust directors. Interested in the ALF 2018 Speaker Presentations? You can download them here. For a flavour of the day’s social media contributions, check out the conference hashtag #ALF2018event here. 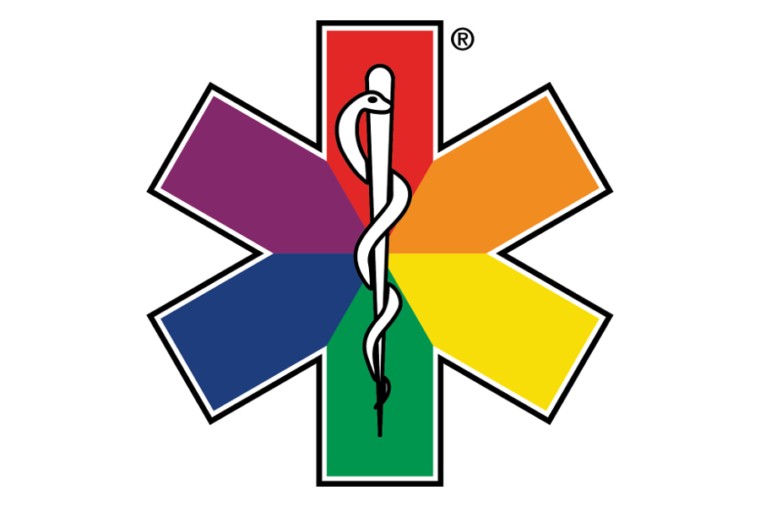 This year’s ALF was followed by what many hope will be the inaugural conference of the Global Paramedic Leadership Alliance Mental Health Summit, an initiative pulled together by the International Roundtable on Community Paramedicine, and leaders from AACE, the Council of Ambulance Authorities (Australia and New Zealand), National EMS Management Association (USA) and the Paramedic Chiefs of Canada. With speakers and attendees from the UK, New Zealand, Australia, Canada and the USA it took the vital topic of mental health issues for ambulance staff, which was begun at ALF, to another level. The participants involved were all leading ambulance chiefs who share a strong commitment to follow the example of Ambulance Victoria in recognising that that while mental health issues will never go away across the global ambulance community, we can all do considerably more to help our staff and their families deal with them as and when they occur. And finally, a date for your next year’s event! The 2019 ALF event will take place 19-20 March 2019. Get it in your diary today. The organisation was superb and the quality of speakers and breadth of subject matter was extremely relevant. Excellent conference, completely relevant to our practice in emergency medicine. We found the outside area for our vehicles a perfect position to showcase our new innovations … and we loved the awards evening. Please pass on our thanks to the organising team for a very successful ALF. Register for ALF news updates! We occasionally send out news releases or position statements about specific ALF issues or wider AACE ambulance service matters. If you’d like to be added to our database, please register below. Please note that we will store your details on our database. Very occasionally we may share your email address with other ambulance-related organisations. However this is strictly only when we think these organisations may have something informative to tell you or something useful to offer you. You will be able to unsubscribe from our email database at any time.